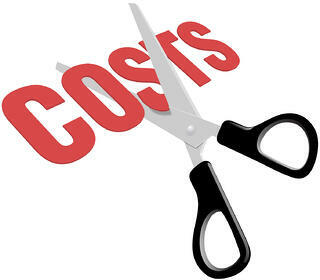 EMR Pricing : How much does an EHR System Cost? Electronic Medical Records (EMR) system is fast becoming the standard for physicians. According to a recent study by the Medical Group Management Association (MGMA), 51% of groups with three or more doctors use EMR software. With the emergence of a Software-As-A-Service (SaaS) EMR vendors and the government’s Medicare and Medicaid Electronic Health Record Incentive programs, the trend toward implementing EMR (also referred to as Electronic Health Records) almost certainly will continue. And many practices will upgrade basic EMR services to more sophisticated technology that will qualify them for the incentive funding. The MGMA survey bears out the overwhelming momentum of the trend: only 2% of respondents said they have no plans to eventually use EMRs. If your practice is contemplating first-time use or an upgrade, you’re probably quite familiar with the many benefits of EMR software. But if you’re like most practices considering an EMR move, you’re worried about answering the critical question: how much does an EMR cost? SaaS EMR is an attractive EMR solution for the same reason it is for all other types of business software—it has low upfront costs, relatively predictable ongoing costs, and always up-to-date software. Because Internet connectivity is essential to cloud usage, it is wise to invest in a backup broadband connection. Low initial cost of SaaS makes it the ideal solution for many small to mid-size practices. Implementing a vanilla EMR may be a good starting point but in order to derive significant benefits including qualifying for meaningful use, you need to implement a host of other components which are often charged extra by several EMR Vendors. Does the EMR come with an integrated Practice Management or Medical Billing Software? How much extra does it cost? Do you need to pay extra for Patient Portal? What about eRx? Is there a one time cost and is there a monthly cost associated with the ePrescription feature? Does the EMR Vendor charge extra for establishing a lab interface with a standard lab like Quest or LabCorp? Will the EMR Vendor charge you additional dollars for creating new practice specific templates? Does the EMR Vendor provide free Meaningful Use training or is there additional cost involved? In most cases, providers have to pay for the Clearinghouse fees that is charged directly by the clearinghouses. Will you have to pay for appointment text reminder and outbound fax services? RevenueXL offers most of the above mentioned features as a part of its 'all-in-one' offering thereby benefiting the providers significantly. In the MGMA survey, the top-performing practices spent about $30,000 per doctor for their EMR system, while the other practices averaged only about $20,000. The MGMA credits this additional investment in EHR training with helping the top performers excel. Check if the EMR Vendor offers onsite training - it will cost you extra but it may well be the key to ensure a successful EMR implementation. Include any new positions that will need to be added as a result of EMR, as well as the labor cost of existing employees. With a SaaS based EMR, this is really not relevant. However for a server based onsite EMR, you will need to have dedicated technical resources to attend to any technical contingencies. Regardless of whether you use onsite or SaaS EMR, you still need to account for your local network hardware needs. EMRs usually involve mobile devices, and you should also figure in desktop computers, mobile devices like table PCs, phones, iPad, etc., printers, scanners, fax machines, etc. Most SaaS vendors bundle ongoing maintenance and upgrade costs as part of their monthly subscription. However, it does not hurt to check and confirm with the EMR Vendor being considered. This is where SaaS really saves. If you’re going to use an onsite EMR system, you’ll need to accurately determine how much you’ll spend on software since that would be a large part of your initial investment. You may have to hire temporary employees to help scan documents and/or buy a scanning system. You may also have to pay for document storage or destruction. This is one of the trickiest parts of answering the question, “How much does an EMR cost?” But it’s critical as you figure out cost to adjust it for the growth you expect.